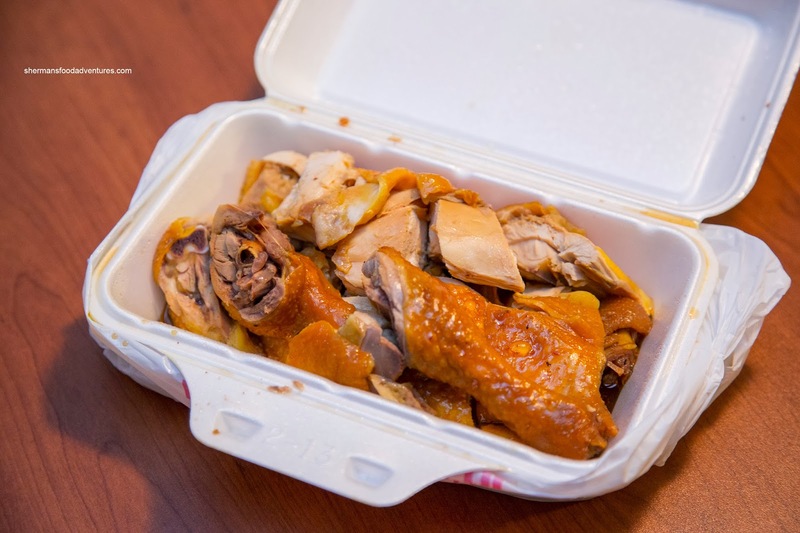 As mush as one can get Chinese BBQ from a number of places including T&T, most fall within the average. 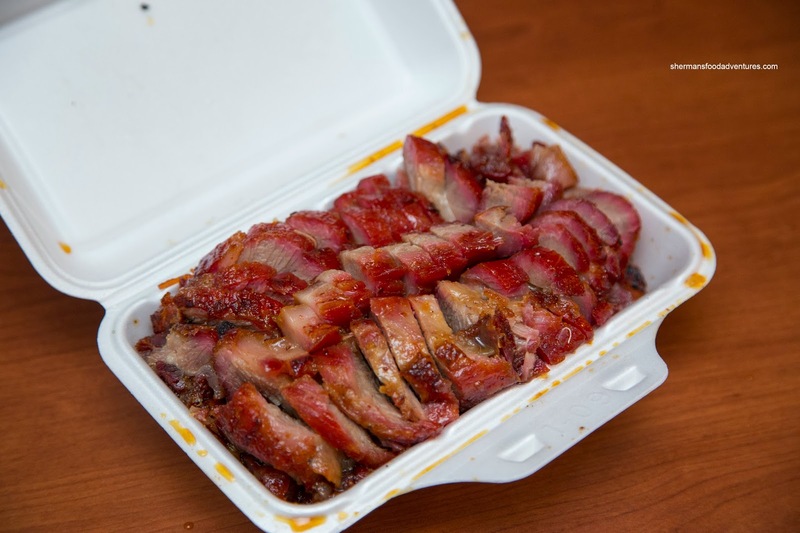 To get really good Chinese BBQ, there are only a few places that are worth the drive. For me, HK BBQ Master is worth the obstacle course, otherwise known as #3 Road (Parker Place BBQ across the street is respectable as well). Hopewell in Vancouver (in the T&T complex) is no slouch either while Delicious BBQ in Crystal Mall is also worth a visit. Ironically, all 3 require one to exhibit extreme patience and to risk their car's health. I decided to grab a few items from Delicious since I was in the mall already. I dug into the Roast Pork first and it was texturally on point. By virtue of being pork belly, it was fatty and moist. There was a definite roast pork essence, yet I felt they could've been a bit more aggressive with the seasoning. On the other hand, this was easily alleviated with hoisin sauce. As for the crackling, it was light and crisp without being too crunchy. A solid roast pork indeed. Next, I sampled the BBQ Duck. 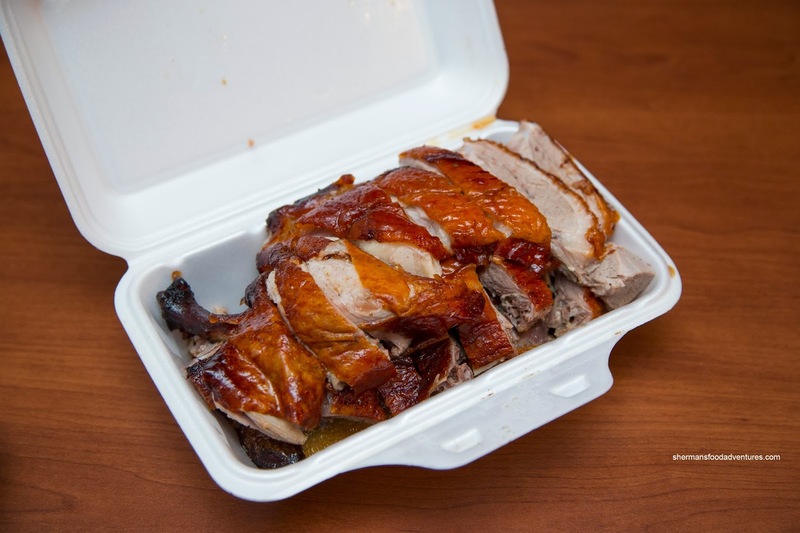 For half a duck, the styrofoam box was bursting at the seems. This was one large and meaty duck. Hence, the breast meat was substantial where it was moist and tender. I liked how it was seasoned enough that I could taste it without being overly salty. The skin was aesthetically-pleasing and somewhat rendered where it was edible without having a big chunk of fat in my mouth. The best of the three was the BBQ Pork. 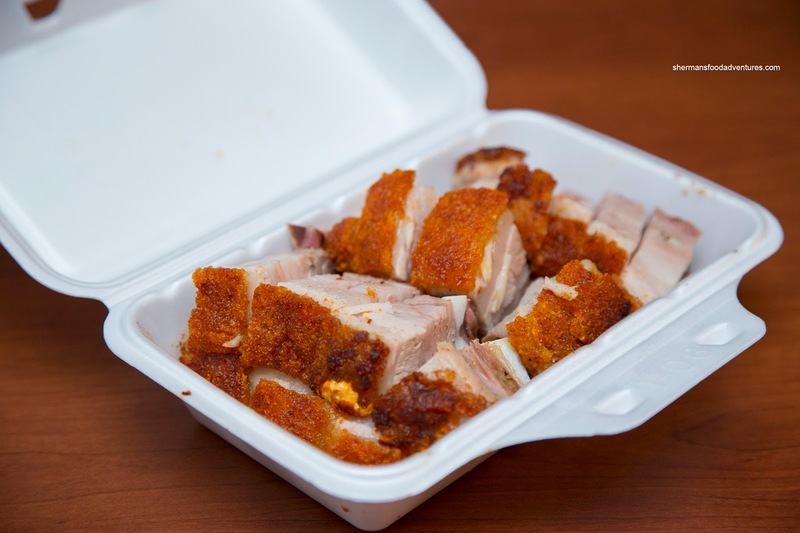 I chose to have the half-fat portion since that is the only way to eat BBQ pork (in my opinion). Therefore, it was super moist and fatty. In fact, the meat was practically melt-in-my-mouth tender where the bark provided a nice chewiness and flavour. I found the marinade to be on the saltier side (could've used more sweetness), but it was fine and one would be eating it with rice anyways. On another visit, I got half of the Free-Range Soy Chicken. As expected, the meat was lean. That meant the chicken was on the drier chewier side. In terms of the soy, I found that the sauce had penetrated the meat making it slightly salty. This was not bad, but the BBQ items were better. 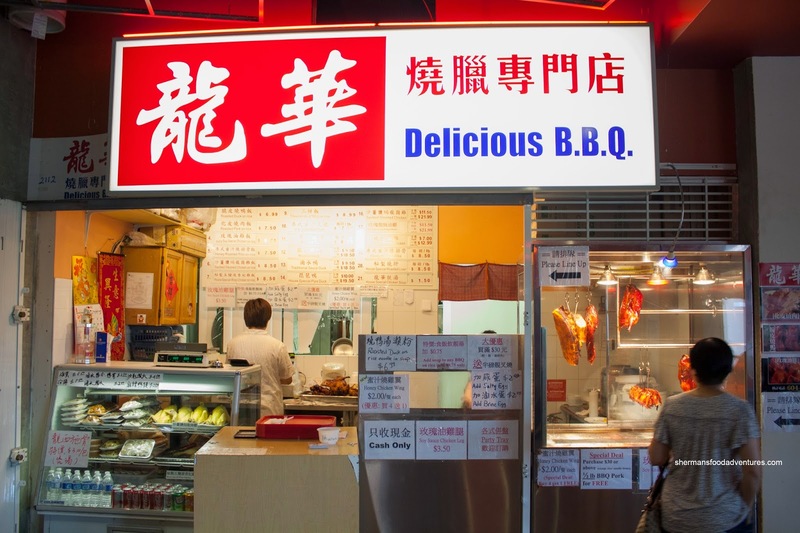 Once again, HK BBQ Master is still tops in my books, but in Burnaby, Delicious is more than acceptable.